Hamlet was the son of Esther Ashcroft and John H.R. 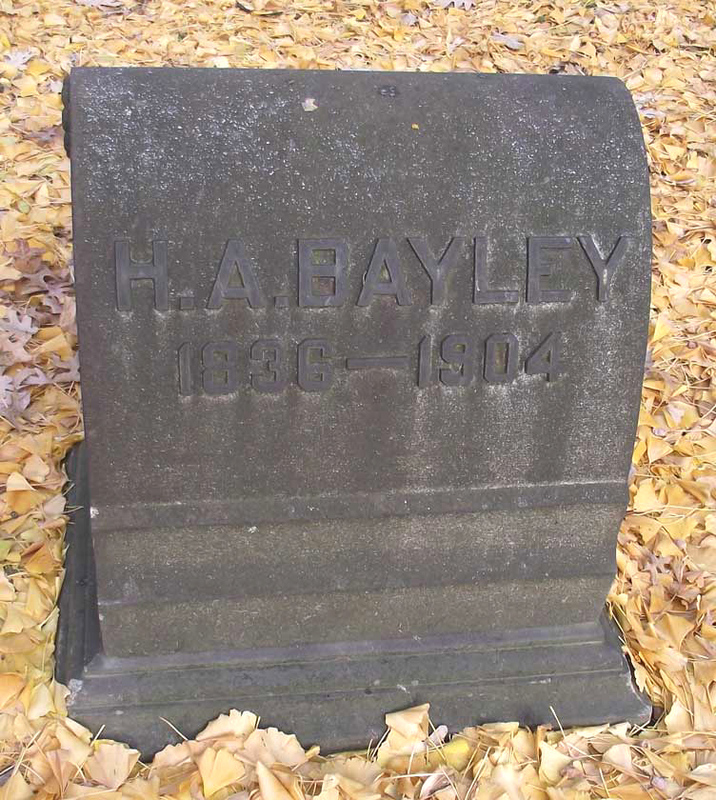 Bayley and was born in Birmingham, England in 1836. His daughter, Annie Bayley Miller, is my great grandmother. Hamlet died of heart disease on 1 February 1904 in Pittsburgh. All three of his children went to the United States around 1880-1882. Hamlet came to Pittsburgh, where one or more of his children were living, in 1894. Hamlet was buried in Homewood Cemetery in Pittsburgh, Section: 9-2, Lot: 314, Grave: 1. The photograph of Hamlet's gravestone was taken by Richard Boyer, a research volunteer at the Homewood Cemetery. Copyright © 2002-, Anne Field, all rights reserved.